This topic contains 11 replies, has 3 voices, and was last updated by admin 9 months, 3 weeks ago. I don’t seem to be able to log in – neither have a I yet received an email to reset my password. Can you let me know the status of my account? Your password has been manually reset and the temporary credentials were sent to the email address on the account. In Formidable I can see my entry in the ‘Entries’ tab. Can you take a further look at this please? Would it be possible to have an update on this please? We have extended the expiration date again through tomorrow, and have tested the activation key and it’s working correctly as expected. Please use this form to provide a screenshot of the PRO2PDF “Activated Forms” tab. I filled out a support ticket last Friday 22nd June and have not received a response in almost a week. Can this be looked into urgently please and someone from support get in touch with me at my supplied email address. 2. Do you have more than one Field Map Layout created for the same form? If yes, delete any test, abandoned, or failed field map layouts. 3. If no to the above, we will likely need to login to troubleshoot the issue, if possible complete this form to provide credentials for WP & FTP. Your activation key has again been extended through July 1st. I didn’t receive the email – can you confirm what your email address is so I can add it to my whitelist for future emails? 1. Can you supply steps on how I do this please? With this activation code, you can register up to 1 site and up to 2 forms. Click here to deactivate this key. I clicked on the link to activate the website and receive the error: You have reached the limit of the websites that you can activate. Can you please extend my license by a week, so I can further test to see if this is a license issue or one of the issues you mention above. Based on this line: [website here] – not active. 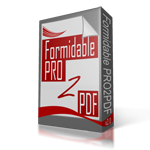 Activate this website It appears you need to login to your account on formiablepro2pdf.com to deactivate the key and reactivate for your site. Your password has been manually reset and the temporary credentials were sent to the email address on the account. Let us know if you require further assistance. I’ve logged into my FormidablePro2PDF account and clicked the link to ‘Click here to deactivate this key.’ and it doesn’t do anything, just reloads the page. Maybe the license needs to be extended (currently it says ‘It is valid until 07/06/2018 ‘) then deactivate and reactivate? Good news! I deactivated and reactivated the license key and form – and it is now coming through as a PDF correctly! 1. How do we go about extending our license correctly? 2. Will this happen again next year when the license runs out? I’m not sure why this error has occurred. To renew the account, click the “Renewal” link on the left after logging into your account. This is not an issue caused by PRO2PDF, it appears to be from an update to the your server or the WP installation’s SALT key.